Once you suspect mold in your home or business, you should contact a mold testing professional. Mold can exacerbate or cause several health issues, especially in those susceptible to respiratory illness. It can also cause damage to your home or business. You may be tempted to try to get rid of the mold yourself, but because thousands of types of mold can grow in your home, do-it-yourself kits may not work. The Environmental Protection Agency (EPA) also recommends that you hire a mold professional to test for mold, then perform mold remediation to get rid of it. Some mold, such as Stachybotrys doesn’t usually spread with airborne sporulation and may not be detected by do-it-yourself kits. What Does a Mold Test Tell Me? When a professional mold testing company comes into your home or business, it will test for several things. Proper mold testing determines the different types of mold, how much mold is in your home or business, and where the mold is located — including in HVAC vents. Testing also tells the mold testing company if a dark substance is soot or dirt, but not mold. Are Home Mold Testing Kits Useful? We often get asked about the home testing kits that some of the big box stores sell for homeowners to test for mold in their home. Are they useful? In a work – no. These tests lack the basic elements of a quality test: metrics. Proper mold testing should be conducting with protocols and condition reports that allow a lab to fully account for how, when, and where a sample is taken. Setting a petri dish like container in a room, with food for mold, will more than likely show some mold growth if left long enough. What it does not do is tell the homeowner if there is an active mold growth issue in the home, what types of molds are present (giving insight regarding potential health concerns when shared with your doctor), or at what levels they are present. The old adage of “You get what you pay for” definitely rings true when testing for mold. We suggest steering clear on these do-it-youself test kits. Do I Have to Have a Mold Test Prior to Remediation? In most cases, we would say yes. Testing is the only way to determine what type of mold is in your home or business and where it is located. mold-on-floor-joistNot all mold testing professionals use an independent, accredited lab to determine what mold spores, if any, are in your home or business. MBS mold technicians always use a third party lab to determine the type of mold and the extent to which the mold is growing in your home or business. Fill out the “Speak with a Mold Professional” form for more information regarding mold testing and remediation services. Mold samples taken by our professional mold testers and remediators show what type of mold is in your home or business. There are thousands of mold types, including Penicillin Aspergillus, Stachybotrys and Chaetomium. Some mold types are associated with harmful toxins, some with other health problems. Once a mold professional determines what type of mold is in your home, we will determine the best course of action to eradicate the type of mold in your home or business. 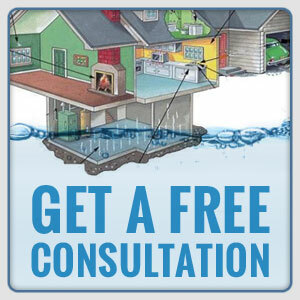 Our mold remediation procedure removes all types of mold. Fill out the “Speak with a Mold Professional” form for more information regarding mold testing and remediation services. First, a Montana Basement Solutions professional will visually evaluate your home or business to find information about the cause of the mold. At the same time, the professional technician takes four types of samples: Air, swab, tape lift and bulk. Certain conditions in your home or business will determine which type of sample(s) the technician will take. 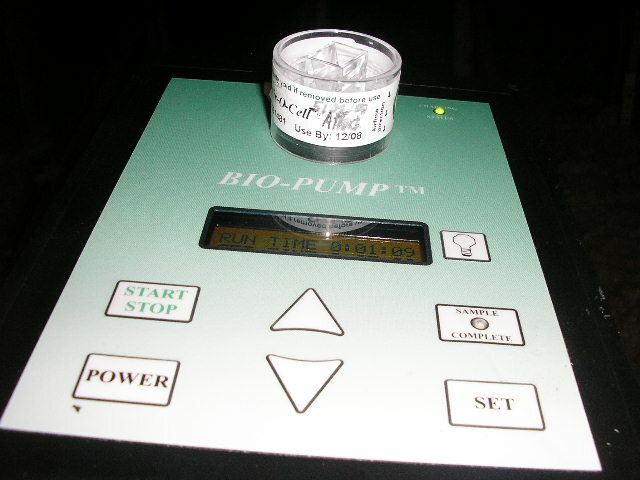 Most common are air samples (focusing on the air that your breathe), followed by tape lifts and swabs where a specific surface requires analysis. All buildings have mold because mold is everywhere. When mold levels increase higher than they should be — higher than the outside environment — it is time for you to be concerned. You may start seeing mold growing on the walls, material in the home, such as carpets, furniture and clothing and in dark, damp spots. More commonly, you may not see the mold at all. It could be in the HVAC duct work or in other hard-to-see locations. You may also have increasing respiratory problems, increasing allergy flare ups and may also notice musty or mildew odors. Once the technician takes the samples, they are forwarded to an independent lab for analysis. It is this information, combined with special bio-remediation training that the technicians use to determine how to best get rid of the mold in your home.